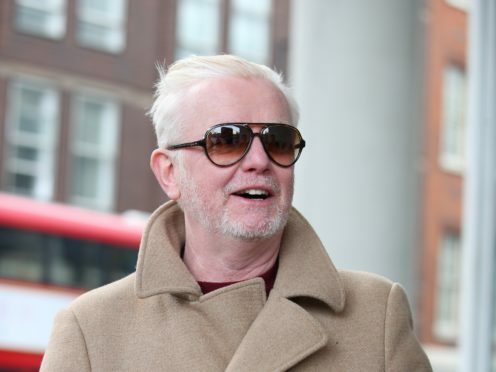 Chris Evans has said his first breakfast show for Virgin Radio “felt as exciting and pleasurable” as always, despite making some mistakes. The former BBC presenter returned to the airwaves on the station on Monday, kicking things off with a live performance from Richard Ashcroft and interviewing stars including Paul Whitehouse and Fay Ripley. Evans, who left the BBC Radio 2 breakfast slot in December after eight years, told the Press Association after the show that he “absolutely loved it”. Evans, who was joined by his wife Natasha Shishmanian and their baby twins at the Virgin Radio studios in London, said he had “lovely guests this morning”, and that the “sun was shining, overlooking the Thames, it’s not bad”. Evans said The Verve’s Ashcroft is “the real deal”, adding: “The thing about Richard is, there’s so little of him physically, but there’s so much of him spiritually. Asked about Zoe Ball taking over his former Radio 2 breakfast slot, Evans said: “If you’re good at anything, there’s always room for you. Evans, 52, had thanked Ball early on in his show for a message she had sent him, saying it was “very sweet” of her. His show was introduced with a live performance from Ashcroft, who played five songs, including Bitter Sweet Symphony and The Drugs Don’t Work, throughout the broadcast. Evans interviewed comedians Whitehouse, Romesh Ranganathan and Rob Beckett, as well as Cold Feet star Ripley. Ashcroft said it was exciting to have been the first musical guest on Evans’ new show. He told the Press Association that Evans had done an “amazing job” taking over from Sir Terry Wogan on Radio 2. He said: “He (Evans) did an amazing job to be able to take over an institution like that and make something of it; most other people would have died a death after Terry Wogan. Beckett, who was there to promote his new TV series with Ranganathan, said it was “really good fun” to be invited on the first show. The first record played on the programme following the live music was Queen’s Don’t Stop Me Now. A sponsorship deal from Sky means that the show will be broadcast without advert breaks, mimicking the listening experience on the BBC. Evans’ show continues on weekdays between 6.30am and 10am.